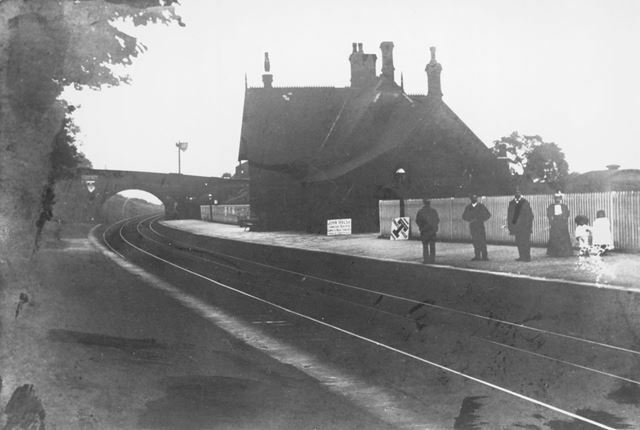 Passengers are awaiting the Buxton to Manchester train. 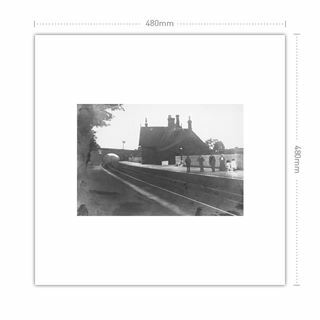 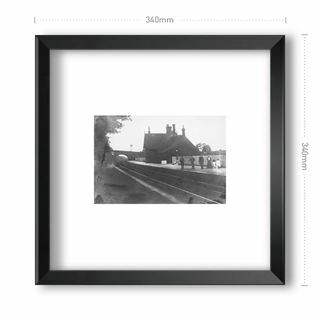 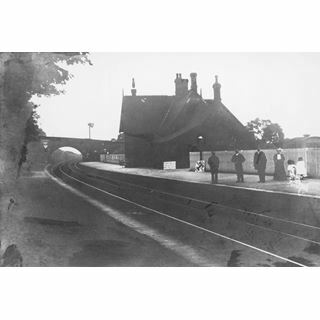 First Chinley railway station, erected in 1865, following an agreement in 1861 between the Manchester, Sheffield & Lincoln Railway & the Midland Railway which enabled the extension of the railway from Rowsley through the valley towards New Mills & on to Manchester. 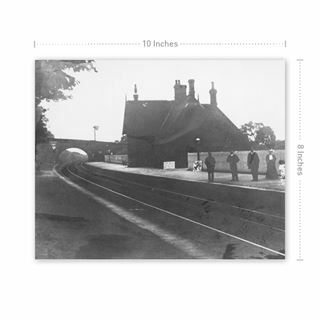 This picture shows the position of the station platform.